If I am being completely honest with you all, I’m not the biggest fan of seasonal decor. Don’t get me wrong, decorating for Christmas is MY JAM, and I love fall decor! However, decorating for other holidays such as the Fourth of July and Easter, are just not my thing. 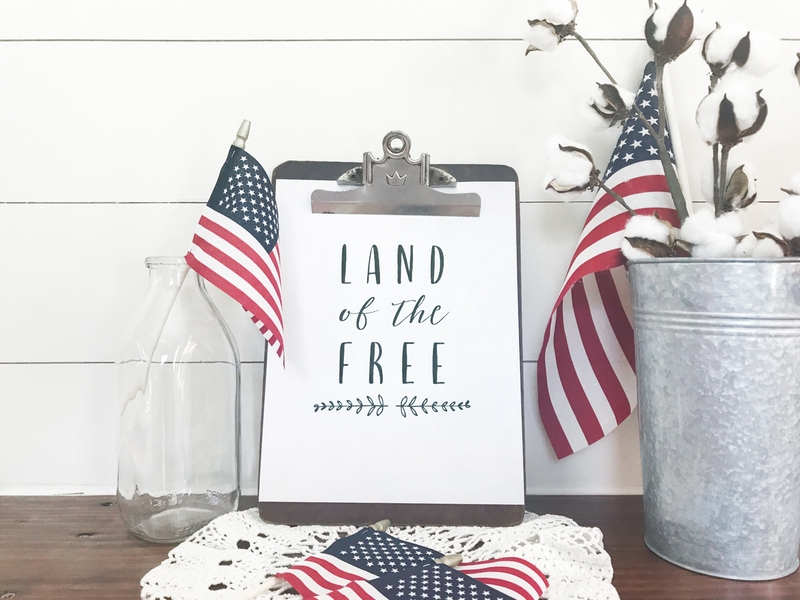 With that confession out of the way, I wanted to share with you all some of the simple ways I DID decorate for Independence Day this year (which includes this super cute Land of the Free patriotic printable)! 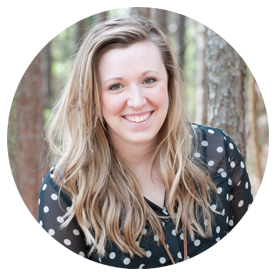 This month I am participating in the Spring Bliss Bash blog party! 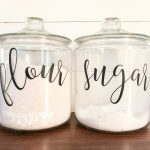 I have teamed up with 16 other bloggers/creatives who will be sharing their favorite spring projects over at Rocky Mountain Bliss all month long. There have been so many wonderful spring craft posts already such as this burlap bunny banner, DIY barnwood frame, and chalkboard mugs! 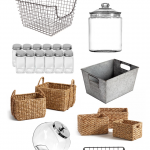 I had so much fun having Diana from Dahlias and Dimes guest post for us on pantry organization. 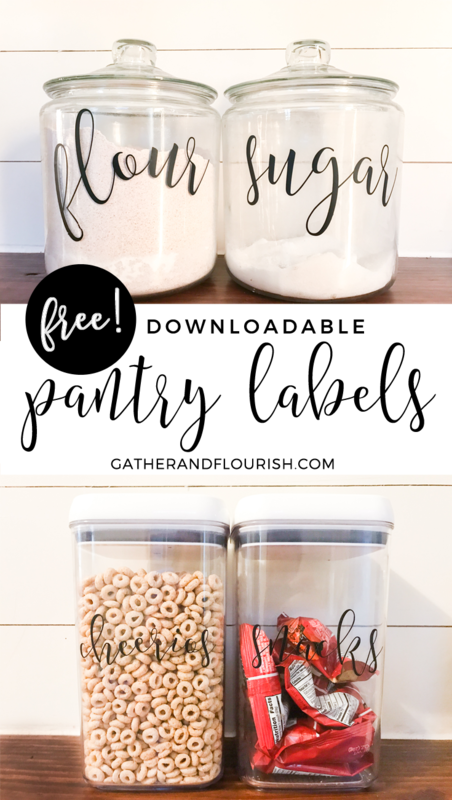 Today, I wanted to share some free printable pantry labels with you all to help you get started on organizing your own pantry! 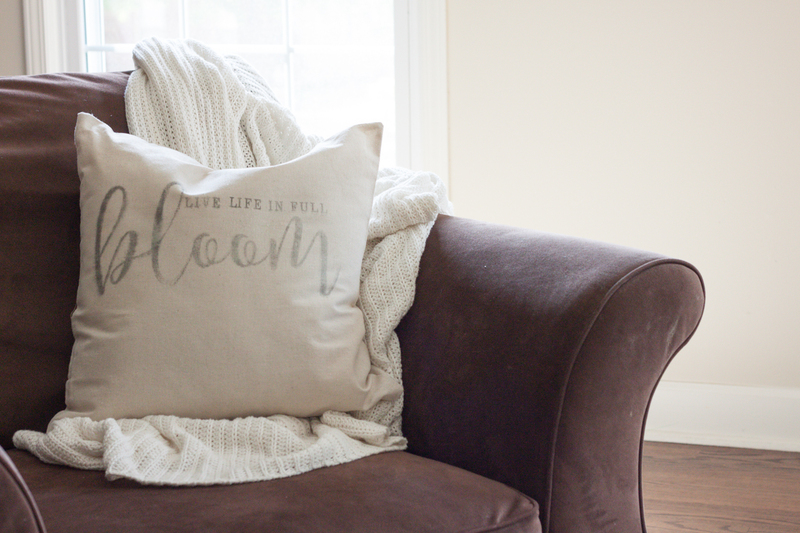 Botanical prints are a growing trend right now in the farmhouse decor community, mostly due to the TV show Fixer Upper! 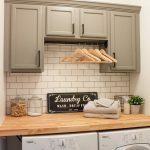 We have all seen those gallery walls of botanical prints that Joanna Gaines has decorated with and have been dying to recreate the look! What you may not know, is that there are TONS of great resources all over the internet where you can print them FOR FREE! 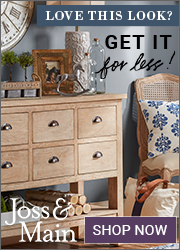 When you do a quick search on Pinterest for “botanical prints”, you will find an overwhelming number to choose from. Today, I wanted to share with you some olive branch botanical prints that I found, through the New York Public Library Digital Collections.